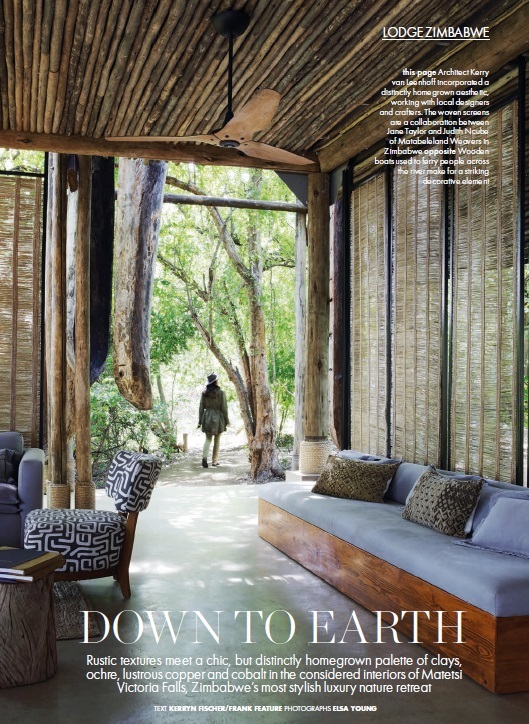 We were proud to have been featured in Elle Decor magazine, one of South Africa’s most prestigious interior design magazines. The featured project was the award-winning Matetsi Lodge in Victoria Falls, Zimbabwe. 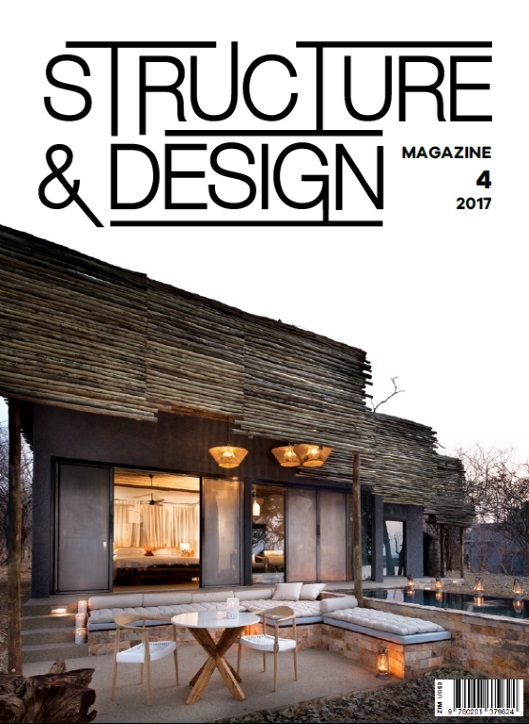 Matetsi Lodge (Victoria Falls, Zimbabwe) was the cover feature for Structure & Design magazine in 2017.